Hi everyone!! Can’t believe Christmas is already here. I hope you have soaked in the holiday season more than I have, my Decembers always seem to fly by! 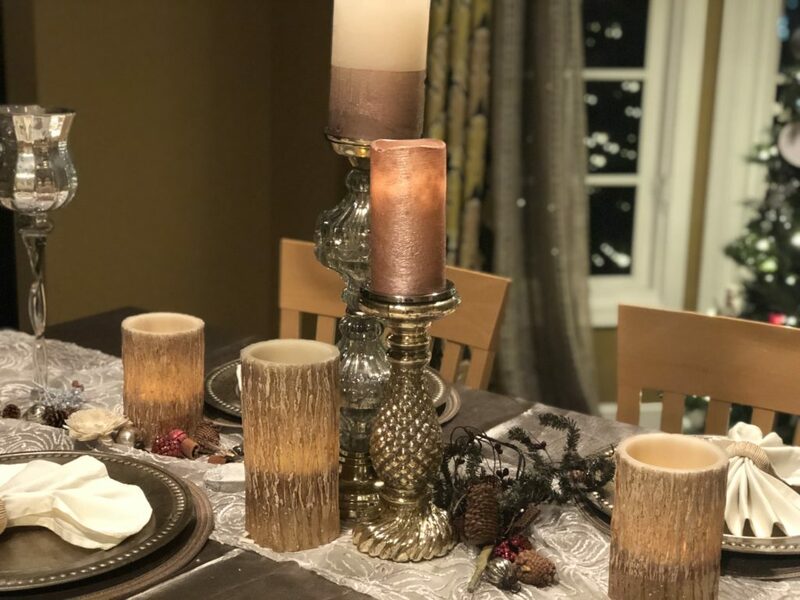 I wanted to take a second and show you my Christmas tablescape – it might be my fave yet. We hosted a Friends-mas (is that a thing? If not, can we make it a thing?) with one of our favorite couples, and it gave the perfect cozy holiday vibe. I like to build my collection of a lot of neutral colors so that I can mix them for the seasons. I went with a champagne-y colored theme here. 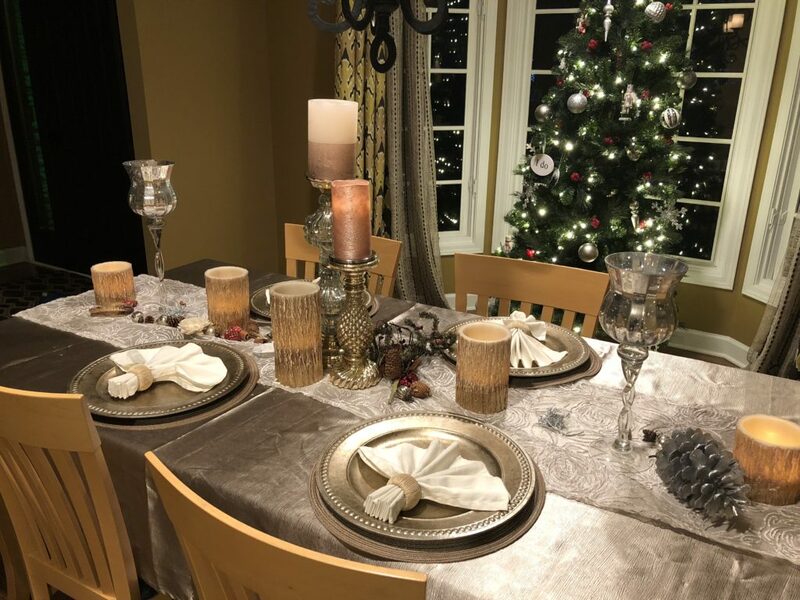 Fun fact: the tablecloth is not a tablecloth at all – it’s a curtain! Get creative! 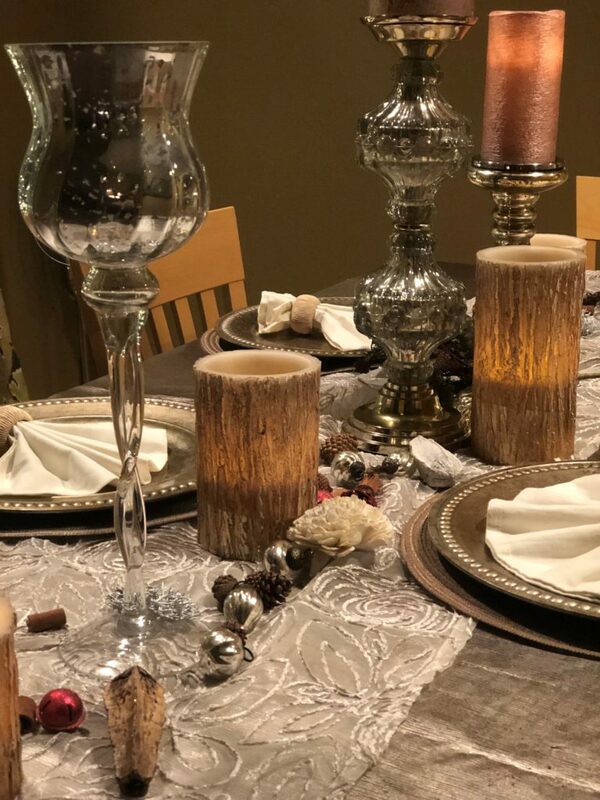 I like to create groups of three items of varying heights and textures as a centerpiece. 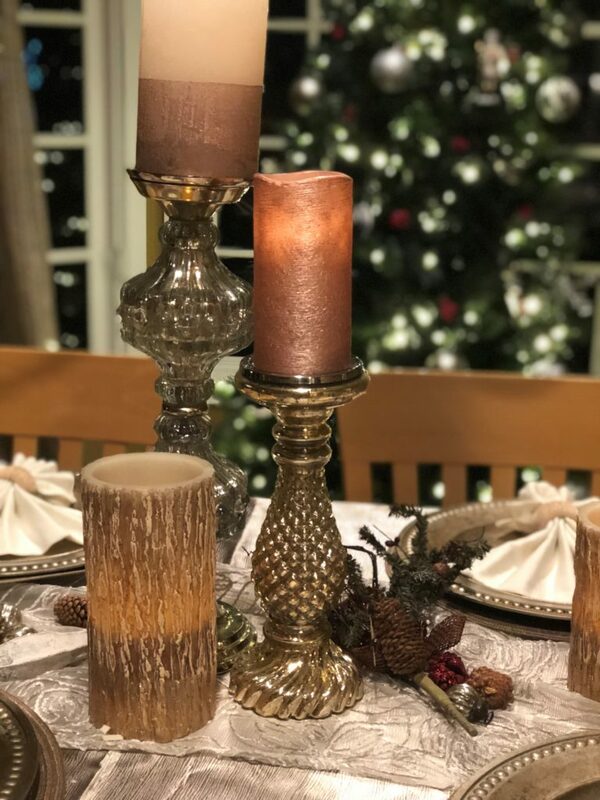 Here I’ve used taller glitzy candle holders with shorter woodsy candles. Here I’ve layered a runner on my tablecloth (ok, curtain). Keep tinkering with what you have until you have your “wow!” moment where you know you don’t need to add or subtract anything from your table. I added some bark and pinecones with just a touch of garland to neutralize the shiny candle holders and bells. There you have it! Happy Holidays, everyone! I'm Erica! Mortgage banker by day, style blogger by night … two opposite sides of the spectrum, I know! I'm also a (kickass) wife, a dog mom, a coffee enthusiast (addict), fitness buff (that might be pushing it) and lucky for you, a thrifty shopaholic.